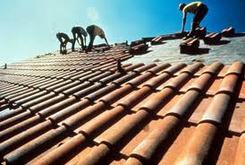 ARB Builder & Remodel is a General Contractor Residential and Commercial specializing in Remodeling & Roofing and more. A family owned, family operated five star rated Phoenix contracting company. We've been in business in the Valley for over 10 years. A licensed, bonded and insured Arizona Contractor, our staff includes professional, courteous expert craftsmen who can work with you to complete virtually any home improvement or business project. about us. We'll beat any local licensed competitor's home or business remodel estimate for any major home & business remodeling and improvement projects. We also offer free estimates and do not charge for travel time. As a established home & business remodeling contractor, we work closely with many vendors throughout the Valley and pass on the discounts we receive to our customers.